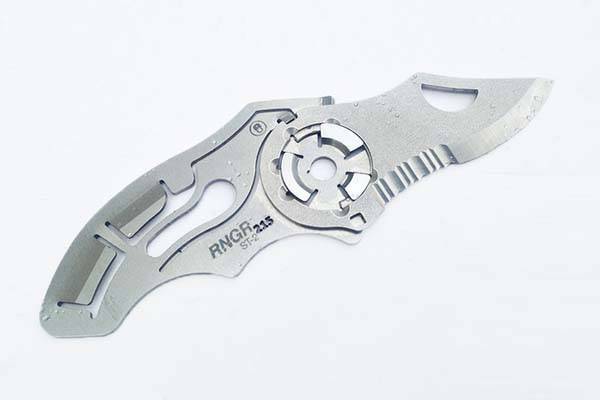 RNGR ST-2 ultra-thin EDC folding pocket knife is designed to always stay with you and help you deal with some tasks especially during an outdoor adventure. Like the idea? Let’s have a look. The RNGR ST-2 is a well-designed and flexible EDC pocket knife that measures 0.125″ thin and weighs 1.4 oz, and its blade measures 2.2″ long by .062″ thick. 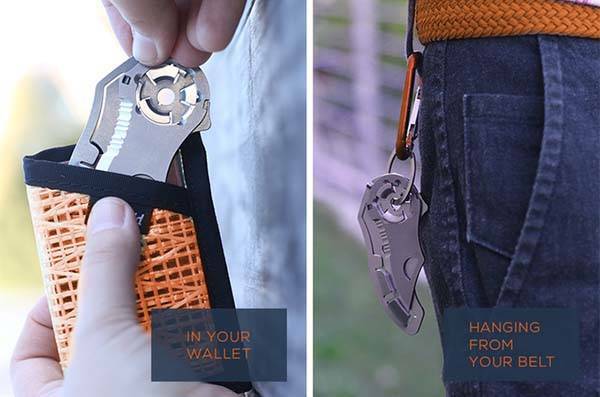 As we can see from the images, the EDC knife sports an ultra portable and slim form factor, so you can effortlessly put it in your front pocket, and using the pivot hole, you can also attach it onto a carabiner, hanging it from backpack. The EDC folding pocket knife is made from 400C stainless steel for a solid and long-lasting construction, and the ergonomic contours allow you to comfortably and firmly hold it in your hand, dealing with various tasks. Furthermore, the pocket knife features patented FlyOff technology. If you find yourself going through airport security while still carrying the knife, you can simply remove and forfeit the blade. After your trip, you can order a replacement blade. The team behind RNGR is raising fund for the product via Kickstarter. We can pledge $44 to preorder the EDC folding pocket knife. It will be shipped in March 2018.